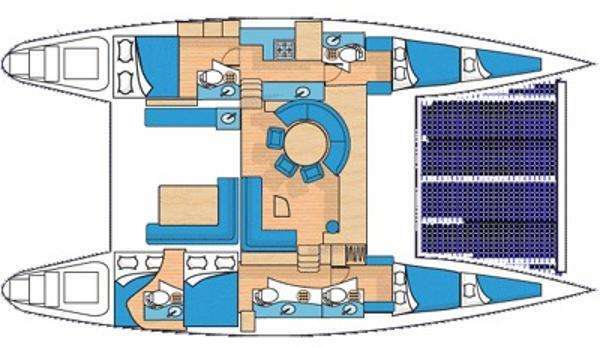 Contact us for rates and current availability or to book a charter aboard Tabula Rasa! Thank you for providing us with a fabulous vacation! Colin and Julianna were tremendous and truly the best. The meals were like a 5 star restaurant. I told Julianna I truly believe she could beat Bobby Flay! We had a vegetarian and one that didn’t like spicy. Everyone was perfectly accommodated. 5 Stars. Colin was amazing also. I feel we were blessed to have such a great crew! The yacht was perfect and we loved it all. Everything was perfect from booking until the end of the voyage. I will highly recommend you to anyone considering a wonderful vacation.